If you’re thinking of launching a new site and want to know how to go viral on the day you launch it, read on. 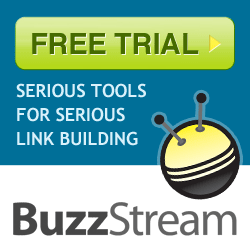 In this post I’m going to explain how I’ll be using BuzzStream to introduce my new authority site to the world with viral carrots that will lure people down conversion rabbit holes. If you want to bring the hammer down on the competition, you must choose a niche you can dominate. In this post I’m going to share my strategy for choosing a niche that will not just let you compete against established authority sites, but blow them out of the water. Over the next 90 days you’re invited to learn how to build a brand new authority site from scratch that’ll earn $9K+ per month.